Indianapolis, Indiana – An Indiana trademark attorney for Swag Merchandising, Inc. and Devo Inc., both of California, sued in Hamilton Superior Court alleging that Your Fantasy Warehouse, Inc. d/b/a T.V. Store Online and Fred Hajjar, both of Commerce Township, Michigan, infringed Devo’s Trademarks, Registration Nos. 3161662 and 3167516, which have been registered by the U.S. Trademark Office. The case has been removed from Indiana state court to the Southern District of Indiana. 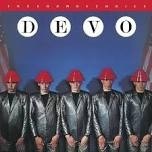 Swag claims that it owns the exclusive right to license the various trademarks, copyrights and individual and collective rights of publicity of the musical group Devo. The group is best known for the song “Whip It,” which hit number 14 on the Billboard chart in 1980. Swag indicates that it licenses the Devo intellectual property to third parties around the globe. T.V. Store Online is in the business of manufacturing, marketing and distributing apparel and memorabilia featuring classic and current television programming, movies and/or music. T.V. Store Online and Hajjar have been accused of manufacturing, producing, marketing, advertising and/or retailing a product known as “Energy Dome Hats.” Plaintiffs assert that these Energy Dome Hats are commonly associated with Devo but have not been licensed by Plaintiffs to Defendants. Plaintiffs further claim that consumers coming into contact with Defendants’ product would “immediately recognize the same as being associated with, sponsored by and/or endorsed by” the ’80s group. Plaintiffs ask for an injunction; the surrender of infringing materials; damages, including treble damages; costs and fees. An Indiana intellectual property lawyer for Defendants removed the case to federal court, although he noted that the removal was not a concession that the Southern District of Indiana was the proper venue for the California Plaintiffs or the Michigan Defendants. This is at least the third case filed by Theodore Minch about which we have blogged. In at least two prior cases, LeeWay Media Group, LLC v. Laurence Joachim et al. and Leon Isaac Kennedy v. GoDaddy et al., Mr. Minch has filed in an Indiana court despite none of the parties having any connection to Indiana. It can be surmised that perhaps the choice of Indiana as a forum might have been driven by an attempt to increase damages. I.C. §§ 35-43-4-3 and 35-43-5-3(a)(6) are criminal statutes, claimed in the complaint in conjunction with an attempt to parlay the accusation into an award for damages, costs and attorneys’ fees. The Indiana Court of Appeals has discussed “theft” and “conversion” as they pertain to takings of intellectual property in several recent cases (see, for example, here and here) and has made it clear that criminal statutes often apply differently to an unlawful taking of intellectual property. The case was originally filed by Theodore J. Minch in the Hamilton Superior Court 1 and assigned Case No. 29D01-1312-CC-12054. It was removed to the Southern District of Indiana. The case was assigned to District Judge Tanya Walton Pratt and Magistrate Judge Denise K. LaRue and assigned Case No. 1:14-cv-00127-TWP-DKL.